As many of you know, in addition to my flock of hens scurrying around laying eggs, I’ve also introduced bees into my life. Nearly 10,000 of them, in fact, and they all happily wing about the gentle suburban splendor of Palo Alto to gather up nectar. Here’s the front view into my one and only hive. We only got our bees in the springtime, and I’ve enjoyed watching them work, day after day, without any pay or benefits besides the back yard space I’ve provided. Bees are actually fascinating creatures. I’ve read only a little about them, and I am absolutely astonished. Even the most cursory examination of bees and their abilities will cause a thinking person to marvel. This is a preface to something awful that happened. As I’ve mentioned here before, I’m not especially mechanical, and as good as my intentions are, I tend to muck up things in the physical world, at least the first go-around. I would have made a lousy carpenter, for instance. So any time I deal with physical objects, I get a bit nervous and unsure of myself. Thus, as I considered finally harvesting a bit of honey after waiting all these months, I watched a lengthy video about the steps involved to make sure I got everything right. I donned my beekeeping suit, fired up my smoker, got my tools, headed out to the hive, and “turned the key” (both physically and metaphorically) that breaks the honeycomb and lets the amber gold start flowing. Well, flow it did, and jar after jar began filling up with honey. However, something bad started happening. Honey began spilling out the INSIDE of the hive as well. Before long, it was an absolute mess. There was honey all over the base, and struggling bees were stuck in it, desperate to stay alive. With the rare exceptions of mosquitoes and flies, I don’t want to cause death to anything, least of all one of my hardworking little bee friends. 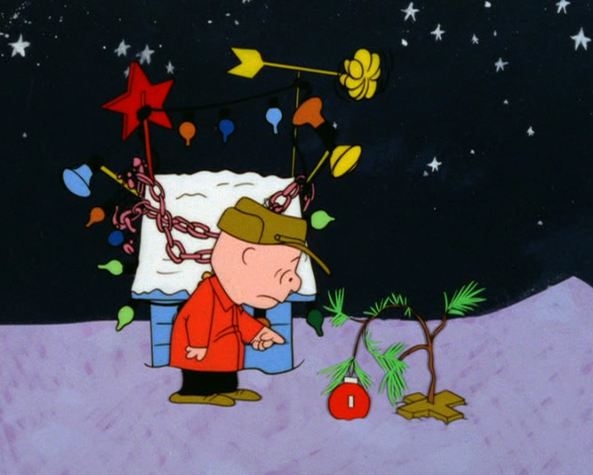 I felt exactly like Charlie Brown did in his Christmas special. “I killed it!” I honestly felt wretched and terribly guilty. I didn’t understand what I had done wrong, but I saw the trouble I had caused. This isn’t an easy situation to deal with. I can’t clean the bees off. And even if I tried, I’d be dealing with a swarm of really, really pissed-off bees (I already am sporting a welt on my cheek, and I didn’t much care for the pain of being stung). I quickly got online with my bee expert in Australia, and we concluded that my screw-up was that I hadn’t waited long enough. See, as the bees fill the cells with honey, they eventually cap it off with wax. Unless ALL of the cells are capped and sealed, when you go extract the honey, any of the uncapped cells will simply spill inside the hive. So I’m guessing anywhere from 10% to 20% of them weren’t capped, so all that honey went cascading down, surely puzzling the holy hell out of the poor bees inside, and trapping the poor workers trying to enter. I asked him if I should basically put boiling water on the honey to get rid of it. Now this may sound cruel, but I considered the bees stuck in the honey to be goners at that point, and what I wanted to avoid was every single bee approaching the hive to likewise get stuck and die. So I put a kettle on, put my bee suit back on, and wandered to the back to do what I needed to do. When I got there, though, a little voice in my head said “trust the bees instead.” More directly, it seemed to me what I was going to do was kind of dumb. So I poured the hot water on to the top of the plastic portion of my hen coop, cleaning the dirt off the top. I left the bees along with the ridiculous mess I had created. The mess was gone. Not partly cleaned up. I’m talking GONE. Not one molecule was left. I couldn’t have done a better job if I had tried. I honestly couldn’t believe it, since it looked like the disaster had never happened. It just goes to show, millions of years of evolution beat the impulse of a beginning beekeeper. and from the looks of it, I’m going to have about twenty-five of these……….